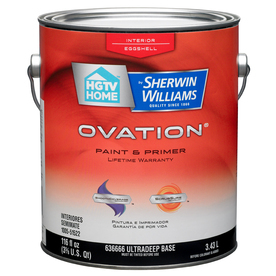 *HOT* 50% OFF HGTV Home by Sherwin-Williams Paint at Lowes + $5 Rebate! If you’re planning on doing some painting soon, ONLY! This paint is on sale BOGO free, but the actual discount is 50% off each can! Depending on the finish you want, you can pick up a gallon of tintable paint for as little as $12.49. Shipping is unavailable, but you can pick it up for free at your local store. Plus, if you want a color other than white, you can ask to have it tinted to any color you like at the paint counter. They should be happy to do it for you. You can save even more with a mail-in rebate offer too! Just under the price on the product page, you’ll find a link that says “PLUS, up to $20 in Rebates”. You can get one $5 rebate for a qualifying gallon of paint.